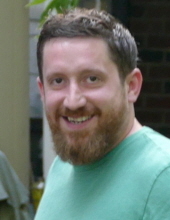 Adam Paul “Sner” Castner, 36, of New Cumberland, passed away unexpectedly on Tuesday, February 5, 2019 in his home. He was a Sales Consultant with Faulkner Honda, Harrisburg, a 2001 graduate of Trinity High School, Camp Hill, and a member of St. Theresa Catholic Church, New Cumberland. Adam attended Indiana University of Pennsylvania; loved music and attending concerts; was a BMW enthusiast; and was the funniest person you’ll ever meet. His charisma and wit brought endless joy and laughter to all who knew him. His friends and family would describe him as loyal, generous, and extremely compassionate. More than anything, he loved his wife and kids and they meant everything to him. Adam was born in Harrisburg, the son of Richard T. and Jacquelyn (Airey) Castner, Jr. of Camp Hill. In addition to his parents, Adam is survived by his wife Joanne A. (Fegan) Castner; his children, Lila Grace Castner, Anabel Daydream Castner, and Aidan Michael Hughes, all at home; siblings, Matthew Thomas Castner of New Cumberland, Shannon Elaine Cruz of Austin, TX, Taryn J. Lynch (Marcus) of New Cumberland, Richard Thomas Castner, III of Orlando, FL and Mary Catherine Castner of Pittsburgh; and several aunts, uncles, nieces, and nephews. Mass of Christian Burial will be celebrated at noon on Tuesday, February 12, 2019 in St. Theresa Catholic Church, 1300 Bridge St. New Cumberland with the Rev. Samuel I. Dubois as Celebrant. Visitation will be from 9:30-11:30 am Tuesday in Parthemore Funeral Home & Cremation Services, New Cumberland. Burial will be in Gate of Heaven Cemetery, Upper Allen Twp. In lieu of flowers, please consider a memorial contribution to benefit Adam’s children. Checks may be made payable to Joanne Castner, mailed to PO Box 23, New Cumberland, PA 17070 and please write “Adam P. Castner Memorial” in the memo line. To send messages of condolence to the family or for driving directions, please visit www.Parthemore.com. "Email Address" would like to share the life celebration of Adam Paul "Sner" Castner. Click on the "link" to go to share a favorite memory or leave a condolence message for the family.